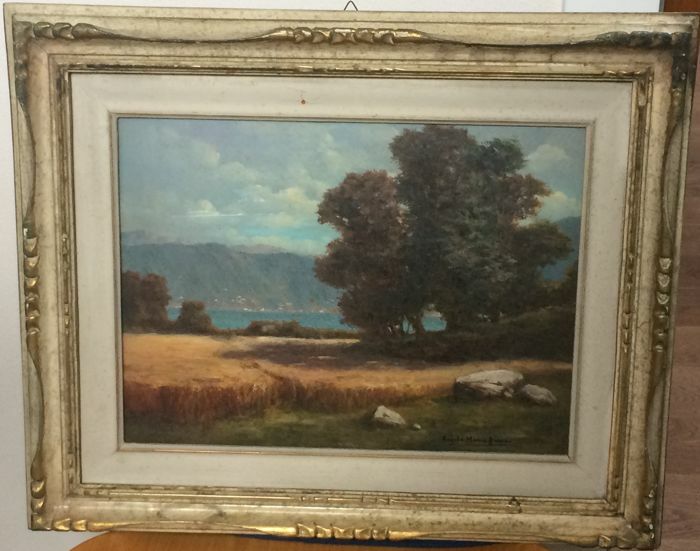 Angelo Maria Armao - "Sole di Ottobre"
The painter Angelo Maria Armao, active in the first half of the 20th century, mainly worked in Chiavari and La Spezia, the city where he was born. 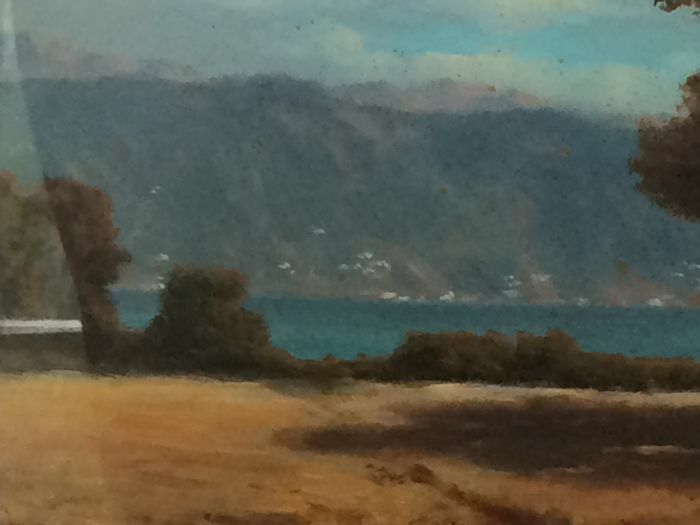 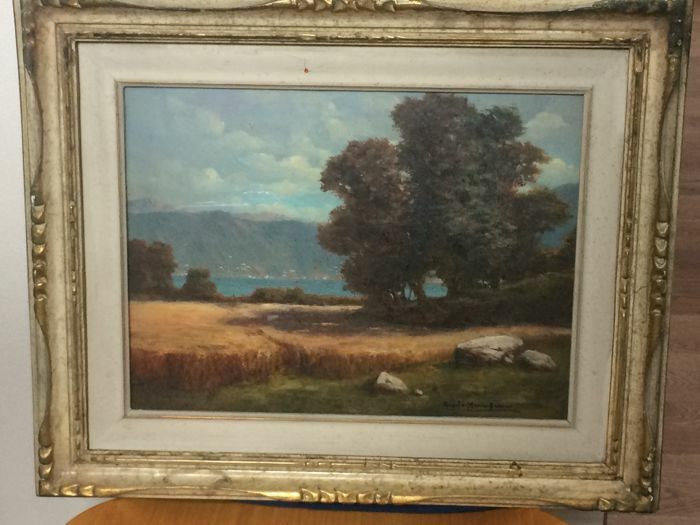 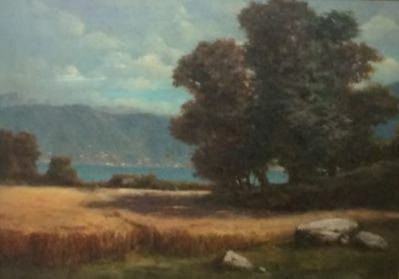 This beautiful landscape represents a glimpse of Ligurian Riviera, a subject he frequently represented in his paintings. 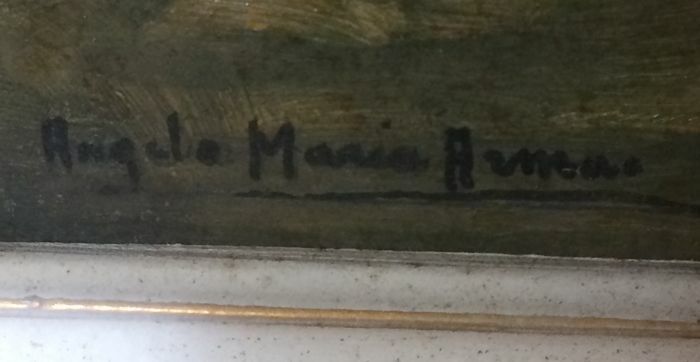 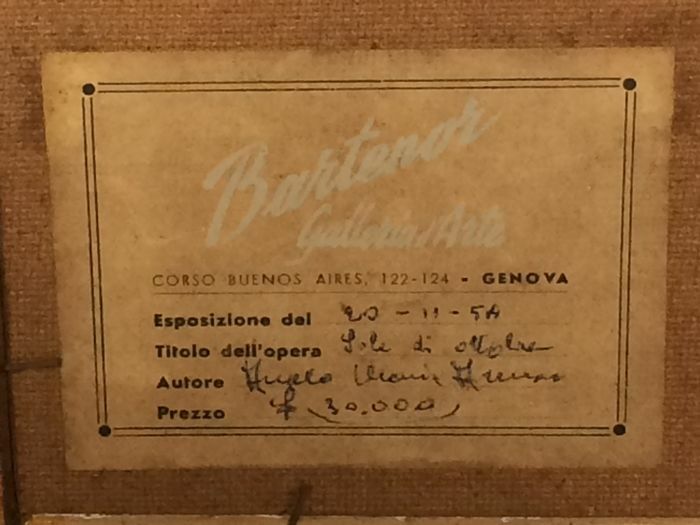 On the framework there is no date, but on the back of the board there is a label from Bartenor art gallery in Genoa saying that the work has been on display in an exhibition of 20-11-1954, so it can be inferred that it has been painted slightly earlier. 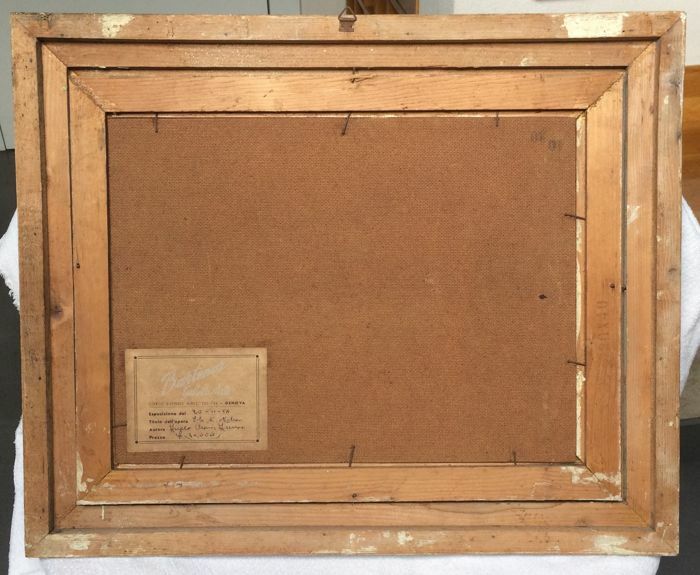 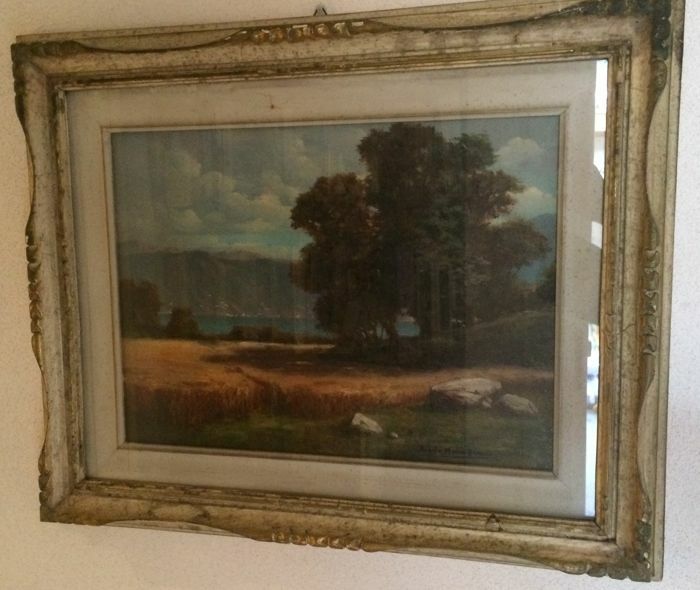 With frame and protective glass.